With Lamborghini expected to unveil a groundbreaking - and expensive - new car at the Geneva Motor Show next week, these are the most sought-after classic Lamborghinis. This was Lamborghini's first production car. 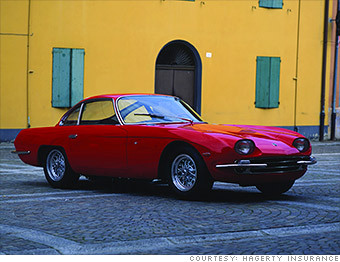 It was tractor-maker Ferruccio Lamborghini's swipe at Ferrari. Car critics of the era largely credited it as a successful swipe, too.